The 377 horsepower, electrified 2017 Acura RLX Sport Hybrid SH-AWD™ goes on sale tomorrow at Acura dealerships with a manufacturer’s suggested retail price (MSRP) starting at $59,9501. The RLX Sport Hybrid is the most powerful and technologically advanced Acura sedan in history, applying a groundbreaking three-motor Sport Hybrid Super Handling All-Wheel Drive system (Sport Hybrid SH-AWD)—an exclusive Acura technology also found in the new Acura NSX supercar. The RLX Sport Hybrid offers the most spacious five-passenger seating in its class, with a powertrain that combines V8-like performance and 4-cylinder-like fuel efficiency along with precise ‘on rails’ handling feel, courtesy of its electrically-powered torque-vectoring all-wheel drive system. Featuring a direct-injected V-6 engine with a 7-speed dual-clutch transmission (DCT) with built-in motor-generator powering the front wheels, and two rear electric motors for the rear wheels, the RLX Sport Hybrid generates a combined system rating of 377 horsepower3. 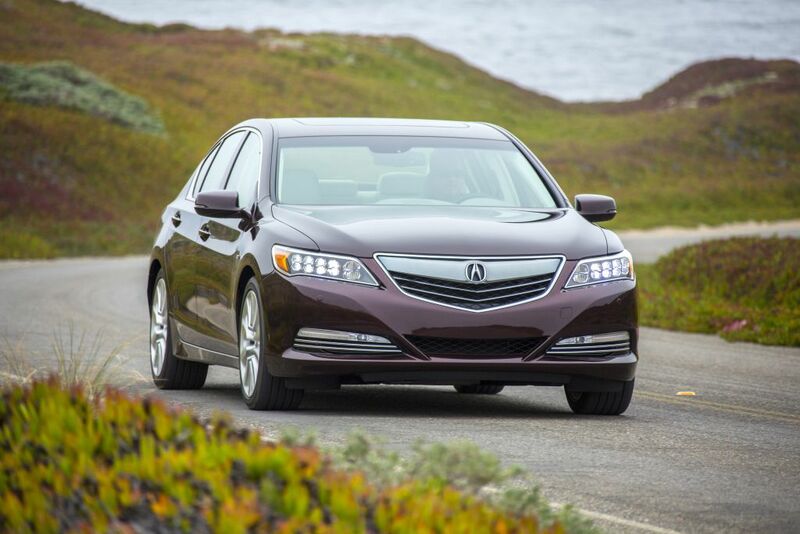 In addition, the RLX Sport Hybrid delivers a host of signature and premium Acura technologies as standard, including Acura’s distinctive Jewel Eye™ LED headlights, 19-inch bright-finished wheels and next generation AcuraLink® connected car system and Adaptive Cruise Control with Low-Speed Follow. Utilizing Acura’s next-generation Advanced Compatibility Engineering™ II (ACE™ II) body structure, along with seven airbags (including driver’s knee airbag), the RLX Sport Hybrid is anticipated to earn a 5-star NCAP Overall Vehicle safety rating, and a TOP SAFETY PICK rating from IIHS. The 2017 Acura RLX Sport Hybrid also offers intuitive technology that reduces stress and simplifies the driving and ownership experience – with features such as Electronic Parking Brake with Automatic Brake Hold, a capless refueling system, Smart Entry/Smart Start keyless access system, easy-to-use and customize dual touch screens, “tensionless” e-pretension front seatbelts, and available rain-sensing windshield wipers, among others.